Diego Isabel La Moneda, co-founder of the Global Hub for the Common Good, has sent today a letter to Klaus Schwab, founder of the World Economic Forum, asking for the inclusion of the New Economy Movements’ focus in the agenda of the World Economic Forum General Assembly to be held these days in Davos (Switzerland). Our message is clear: “Let’s change the Economy to change the World”. I hope this letter finds you well. Maybe getting ready to catch a flight or already enjoying a lovely meal and breathtaking views in Switzerland. In any case, I won’t take much of your time. This is just a short letter to congratulate you. The theme of the meeting that is about to start sounds ambitious, inspiring and even promising: Responsive and Responsible Leadership to address the main challenges of our time. I agree there are many. From my point of view, however, the key is to challenge the main assumptions of our current economic system, such as the real meaning of the word economy as well as development, growth and competitiveness. Or is it enough to write kind adjectives -‘sustainable’, ‘equitable’- before these concepts? We have a unique opportunity to redefine how we work, how we connect with each other, how we build resilient communities, how we live. The time has come to rethink money, banking and finance. The time has come to reshape organisations for the common good. The time has come to redistribute power and explore new governance models -more decentralised, more democratic. The time has come to stop talking about competitiveness and start promoting collaboration. The time has come to put an end to our extractive economy and to move towards a regenerative one. let’s change the economy to change the world. Let´s keep the best of the current economic model and get rid of its imperfections. Let’s take into account all those new (and not so new) economic models and movements that are changing the world for the better. Let’s talk about the Social and the Solidarity Economy and the Co-operative Movement, the emerging Collaborative Economy, the Economy for the Common Good, the Commons, as well as the Green, Blue, Orange and Circular models. And Transition Towns, Slow Food, Fair Trade, Banking on Values and the B Corporations. All together, they represent a new emerging economic paradigm supported by thousands of businesses, NGOs as well as millions of people worldwide. People embrace these new economies as they are aligned with their values and lives. The next step is to transform many business models as well as both international and local regulations to allow the flourishing of these bottom-up initiatives. The main challenges of our time are clearly to define into the Sustainable Development Goals and the Paris Agreement objectives, and I encourage you not only to discuss but also to define specific actions. Attendants to the World Economic Forum Annual Meeting have the economic and the political power to catalyse change, but this transformation has not happened so far. The new economic models have a broad range of practical and real experiences as well as solutions. They have been tested and proven a success. 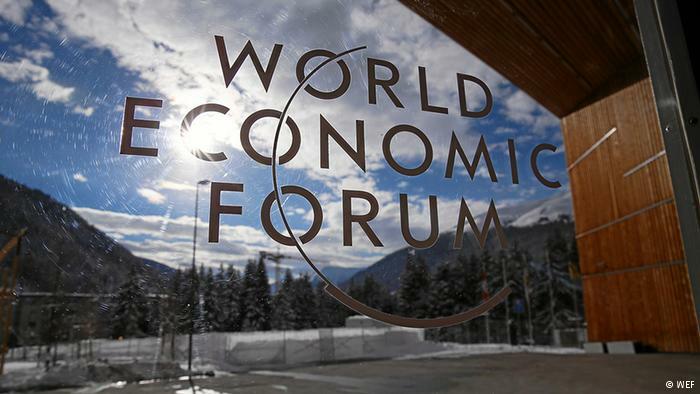 Would you be brave enough to bring these proposals to Davos? Would you be brave enough to challenge the concepts of development and growth and to put collaboration before competition? Would you be brave enough to hear new voices? In that case, you will have my strong support and I am sure people worldwide will follow.